Attention to detail is this adorable wallhanging and applique pattern. Plants and animals are drawn for tracing in both directions. Alphabet is flipped for tracing. 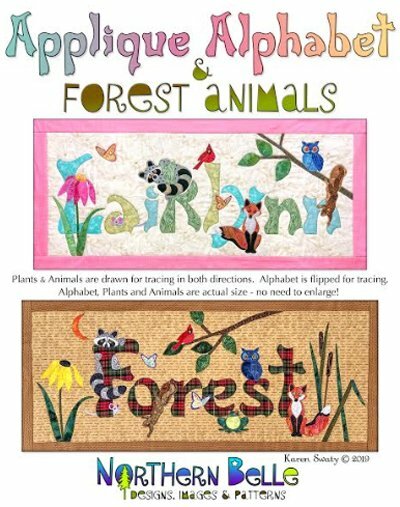 Alphabet, plants and animals are actual size, no need to enlarge. Animals and plants can be placed anywhere on the letters for maximum versatility!